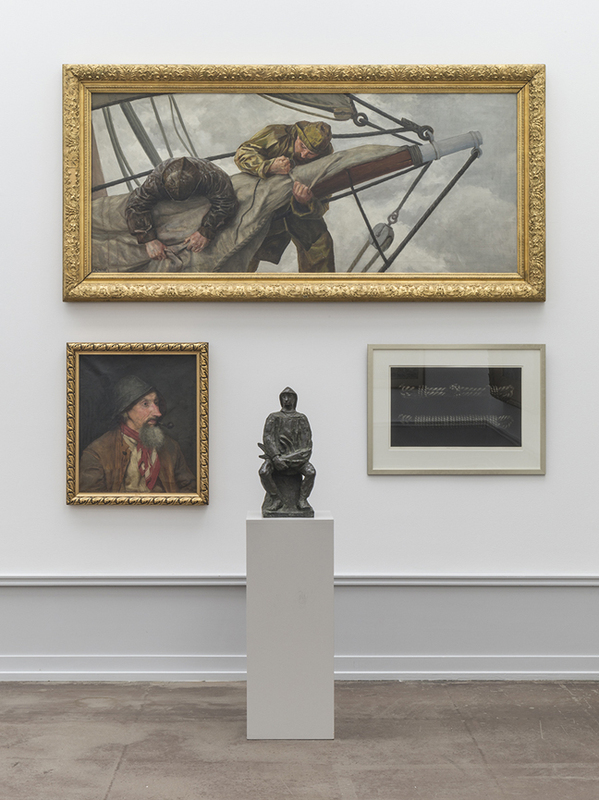 Collection is both an ambitious new work by the artist Martin Tebus and the biggest presentation of Trondheim Kunstmuseum‘s art collection to date. 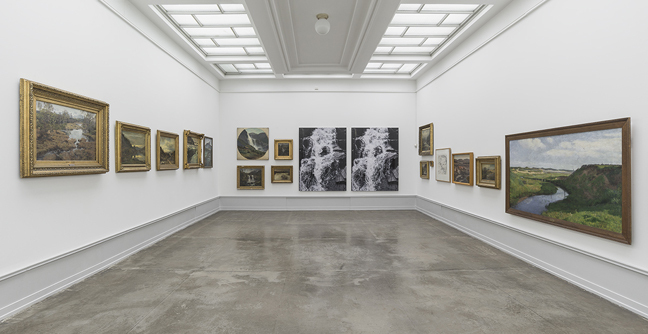 Asked to present work in dialogue with Trondheim Kunstmuseum‘s collection, Martin Tebus has made a thorough inventory, and selected and arranged more than 500 works in the collection thematically. Working from Stockholm, Tebus was dependent on photographic documentation, mostly grainy, black and white images in the museum catalogues from 1945, 1987 and 1993, which he began hand-colouring, working out the themes for the exhibition. The 273 hand-coloured cut out photographs are shown in the exhibition as an index or table of contents. 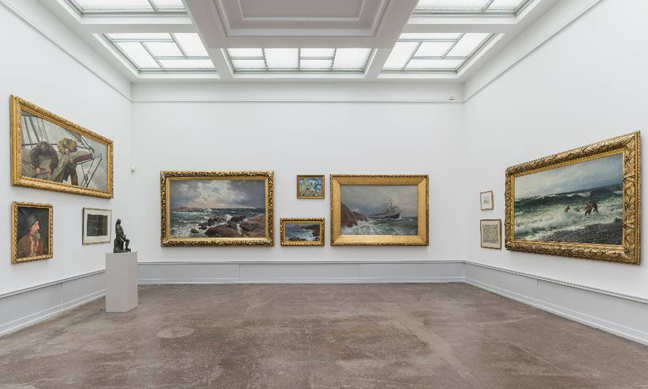 Collection is the most extensive presentation of Trondheim Kunstmuseum‘s collection in the institution’s 170-year history. It also presents an unconventional view, inviting us to look at the collection as a whole. Less known works, sketches and objects are shown along side famous counterparts by Francisco Goya, Hokusai, Edvard Munch, Hannah Ryggen. Through these meetings and the 18 themes in the exhibition, Tebus evokes the collection’s “personality.” Some themes reflect the environment that shaped the collection: Fishing Stories, For the Pilgrims and several landscape categories for example. Others, such as Food in Context and Interiors and How to Use Them seem to look past the motifs and genres of the art works by directing our attention to seemingly arbitrary elements that they share. Taken together Tebus‘s categories and juxtapositions show the diversity, high and low, not only of the collection but of the artistic impulse as such. 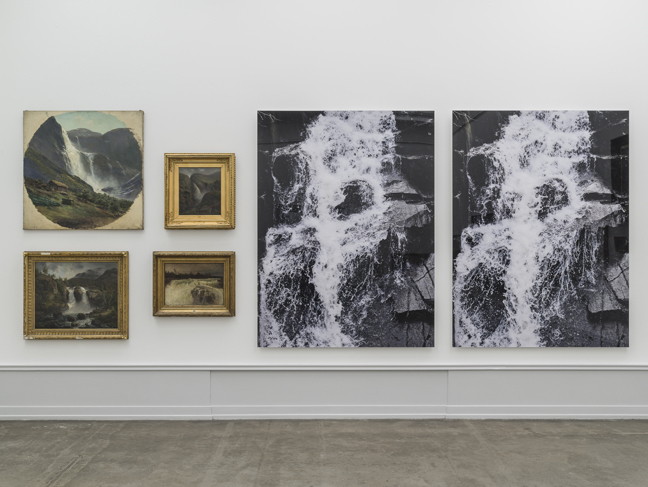 Martin Tebus‘s idea-based works often combine the use of historical artistic techniques and relational aesthetics. Recurring themes are art history and how history is passed on and presented. The series Arcadia – Model, Museum and Playground from 2004 explored landscaped gardens and architectural follies as a form of architectural role-play using traditional long-exposure black and white photography. In 2013, Tebus organised an enactment with costumes and purpose created “art works” of Nils Wedel‘s mural Entry of the Arts (1943) at Norrköping Konstmuseum, Entry/Exit (after Nils Wedel). Martin Tebus lives and works in Stockholm.